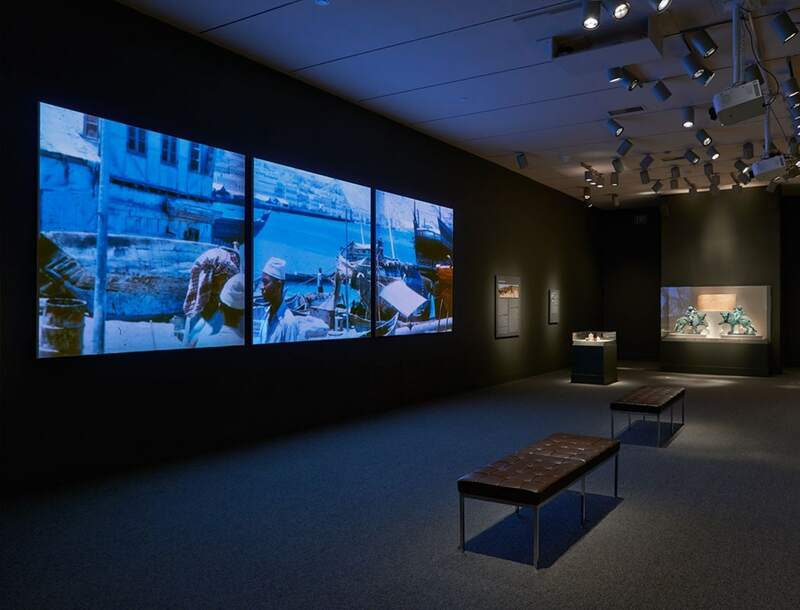 “The Archaeological Adventures of Wendell Phillips,” exhibited at the Arthur M. Sackler Gallery, explores a massive expedition to Yemen, headed by the young paleontologist and geologist Wendell Phillips between 1949 and 1952. 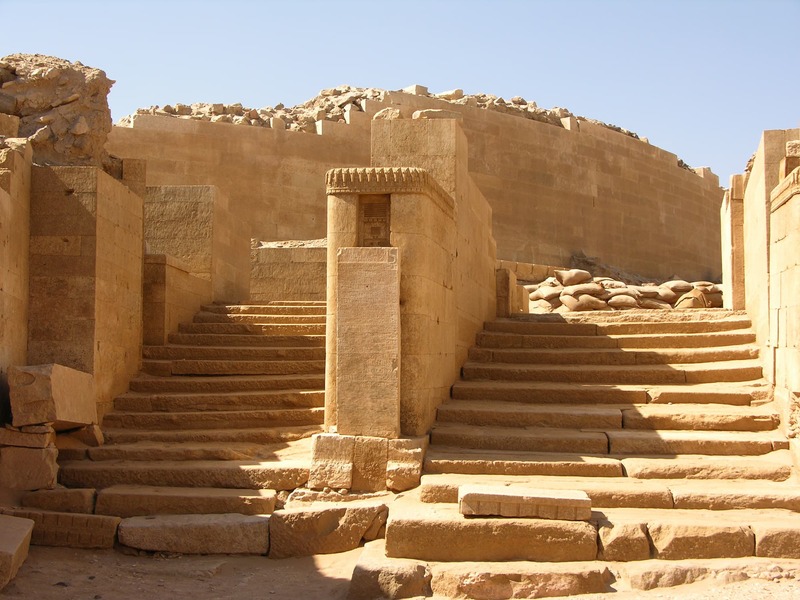 A selection of excavated artifacts, 1950s film clips, handwritten notebooks and vintage photographs highlights Phillips’s key finds, which are the most important collection of documented South Arabian artifacts in the U.S., and recreates the team’s adventures—and misadventures—as it unearthed long forgotten ancient Arabian cities. 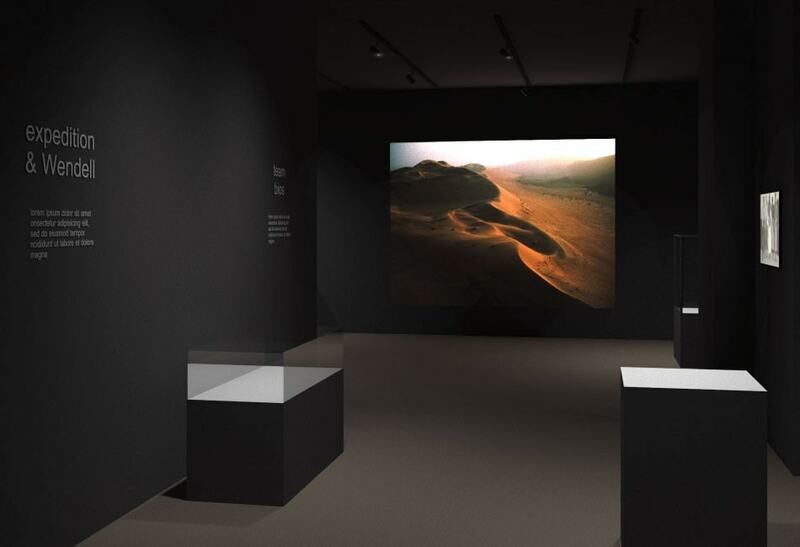 To set the mood in the exhibition space I developed a soundscape based on desert wind recordings. Stretches of silence evolve into a gentle breeze, strong gusts of wind and then back to silence. As the wind’s intensity increases, other sounds emerge from it, as if carried by the wind from somewhere else. Some of these sounds are distant hints at music from the region, others are auditory expedition snapshots – sound recordings taken from Wendell’s 35mm film reels which are part of the collection.